Does your kiddo look up to the stars with a glimmer in his eye? Does he hope of one day being chosen by the Space Rangers to be their newest recruit? He must have all sorts of dreams about defending Earth and the rest of the galaxy from the evil forces of Emperor Zurg. Well, there is something you can do to help your kiddo be first in the line of prospects to join the ranks of the elite rangers. 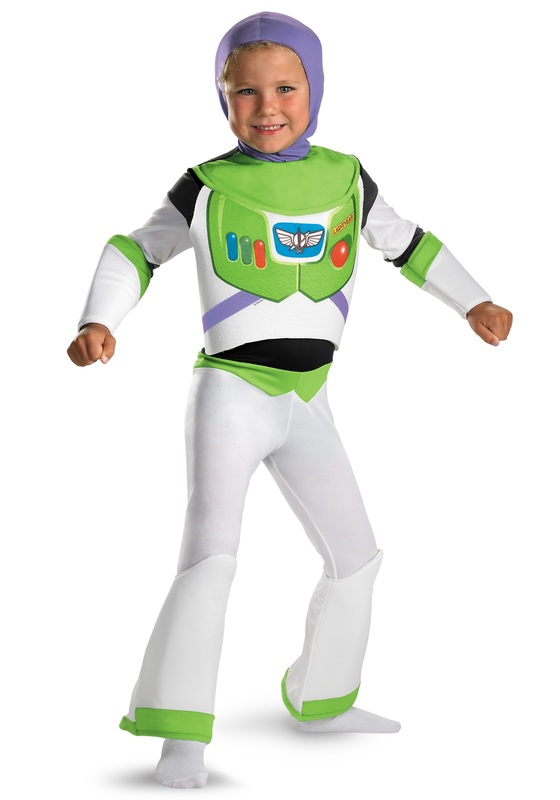 Simply grab him this awesome Child Deluxe Buzz Lightyear Costume! Most people know Buzz as Woody’s best friend and one of Andy’s favorite toys. However, before he was an iconic action figure he was a protector of the universe! He was the best at what he did, which was putting a stop to Zurg’s plots and bringing peace to the galaxy. When your kiddo tosses on this hooded jumpsuit, he’ll look exactly like his favorite galactic hero. Whatever missions Star Command has in store for him, with this new look, he will be more than ready to save the day. His first mission will be this Halloween. He must obtain as much candy as possible! In order to accomplish such a feat, you may need to grab him a few accessories to complete his Space Ranger outfit. Add a pair of our white boots, a space blaster gun, and our Buzz Lightyear gloves to your cart for starters. Then once you get him the Buzz Lightyear Jet Pack, he’ll be ready to blast off to infinity and beyond! My son absolutely loved this costume and fits true to size. Shipping was very fast.